How does a little girl’s handbag turn into an attention-getting tool to help kids write poetry? Here’s how…you play a teacher’s game of Finders – Keepers whenever and wherever you shop! Finders – Keepers is a game of discovery and magic. Something that’s on display in a store as one thing can become something else – a cool attention-ology tool in the hands of teachers who have the vision to see beyond a retailer’s intention. For example, take a look at my blog pic below. 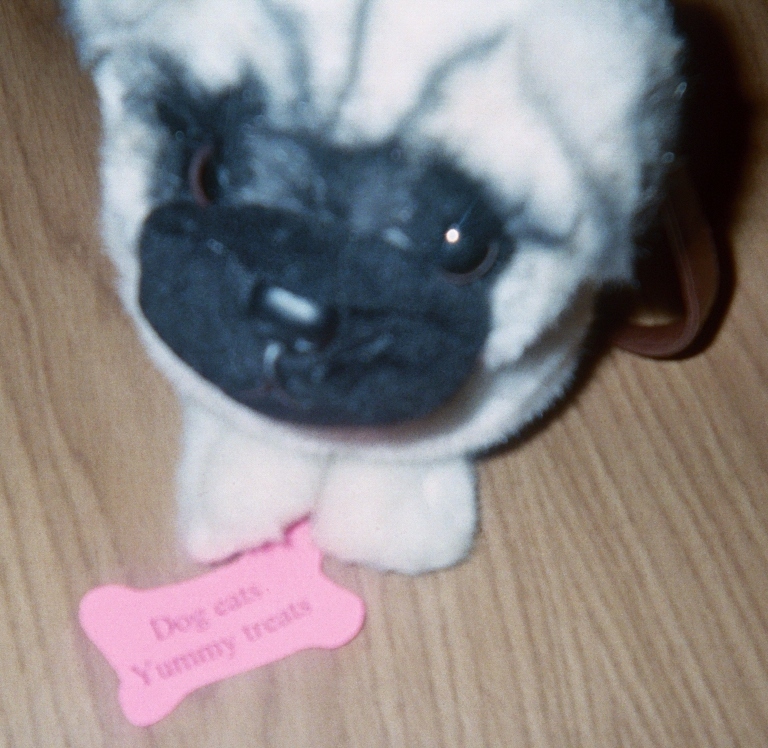 Petey, the pug-nosed Poetry Pup, loves poems on bones! “Naturally “Petey” likes poems on bones,” I say to entertain and engage the kids. I’ve created a collection of “Bone Poems,” two-line seasonal rhymes printed on card stock cut in to bone shapes, like my blog pic shows. If you’re teaching (in the Northern Hemisphere) over the summer or need a quick and easy activity to close this school year with students in grades 1 – 3 (in the Southern Hemisphere this activity also suits a winter schedule), have some fun with your own bone poems. Whip up a Dog-gone Good Poetry Party! A Poetry Party catches everyone’s attention! Make a bone pattern for the kids to use or cut out some card stock bone shapes to give them. Find and bring to school a stuffed animal, a dog, of course that will be the center of attention. On the day of the party distribute copies of the summer/winter rhymes that students can choose to use, the paper bones, pencils and crayons. Instruct the kids to write the rhymes in pencil on one side of each bone, saving the coloring for their illustrations on the other side. NOTE: I recommend not letting your students use markers for coloring because the color may bleed through to the side of each paper bone that has writing on it. Optional: Invite your class to come up with original two-line summer/winter rhymes. This will help them develop writing skills. If you can find a handbag with a zippered pouch that is in the form of a dog like “Petey,” you can play Finders – Keepers another way, to the delight of your young students. Let’s meet a party guest that loves poems on bones! Make the paper bones as I’ve described above and write two-line summer/winter rhymes on as many as will fit into the pouch. Slip the bone poems into the pouch. Hide the handbag in a large party bag and set the bag on a table in front of the class. 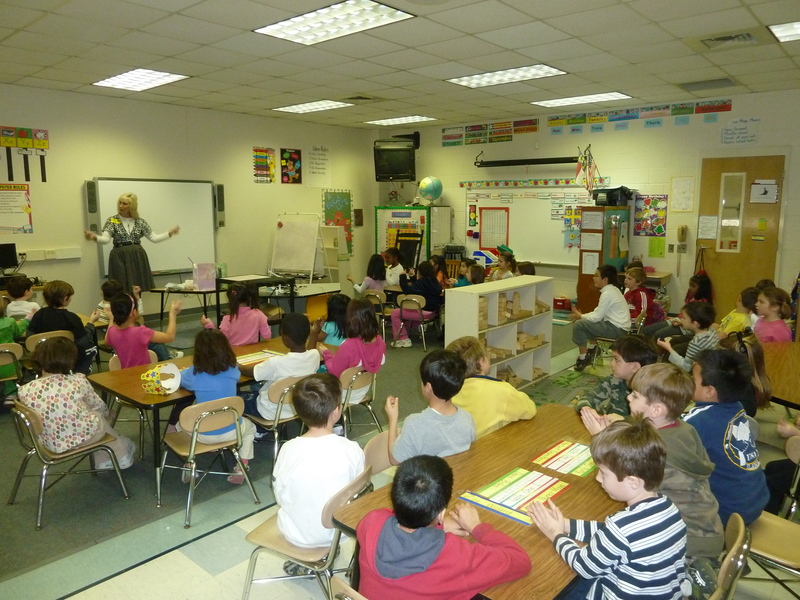 Announce that you’ve brought a special guest to class to help your students learn about poetry. Pull the handbag dog from the bag and ask for helpers to unzip the pouch and each pull out a bone and read the rhyme. Optional: Invite students to write their own two-line rhymes to (pretend) to give to the party puppy. Summer Rhyme Time: Summer holiday/Let’s play, play, play; Birds fly/Sunny sky; Milkshake/Sugar cake; Sneezy nose/Itchy toes; Yummy sweets/Candy treats; Kites in sky/Fly high; Good night/Sleep tight. Playing Finders – Keepers offers teachers a world of opportunities, especially when you modify your attention-ology tools and tricks according to what you discover in your corner of the world. For example, if you can’t get your hands on a stuffed animal fashioned as a dog, let alone one that has a zippered pouch, use a stuffed toy that you do have and modify the shape of your cards to suit. Have a cute stuffed toy cat? Cut out fish shapes and make your poetry party guest of honor a feline queen. 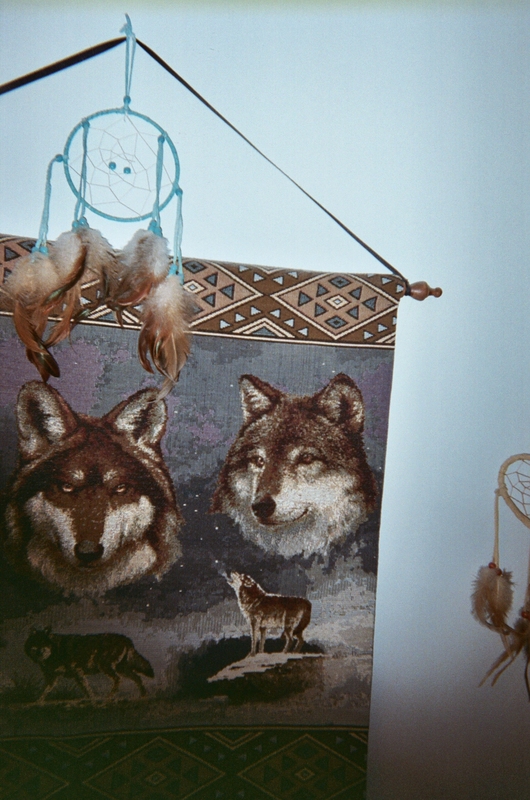 A Native American Dream Catcher hangs proudly above wide-eyed wolves. I promise that when you make special finds like I’ve done – an adorable doggy zippered handbag and a beautiful handcrafted dream catcher – they can become awesome attention-getters and a teacher’s treasured keepers. 1 Pings/Trackbacks for "Finders – Keepers"